BookShark was developed for BOTH parents and students. Our curriculum was developed to equip parents with the tools they need to create a comprehensive, enriching experience for their children. BookShark is based on a program that has successfully guided homeschool parents for 25 years. Our academics are superb and our program covers more in 4 days than most curriculums cover in 5. Our All-Subject Packages expose students to 30-50 different books per year and our guides provide parents the discussion questions necessary to confirm students are not just reading, but learning. We rarely (if ever) have parents return our curriculum because of academic quality. With BookShark, you can confidently teach knowing that your students are receiving an excellent education. If you talk to BookShark parents, they will share stories of snuggling on the couch while reading with their children or testing science experiments together at the kitchen table. Homeschool provides dedicated time to spend with your kids - precious time that many parents lose when their children leave for school. BookShark is literature based which entails reading aloud to your children and engaging in open discussions about historical events. Our curriculum will help you create lifelong memories by maximizing the quality time you spend with your children (while also assigning independent reading and writing that they will do on their own). Some parents develop their own lesson plans. They are either highly creative or have the time to research and assemble materials. But many parents do not have the time to write weekly lesson plans and compile books from the library while sourcing materials for science experiments. Each day includes a lesson plan that outlines what to read and what discussion questions to ask. 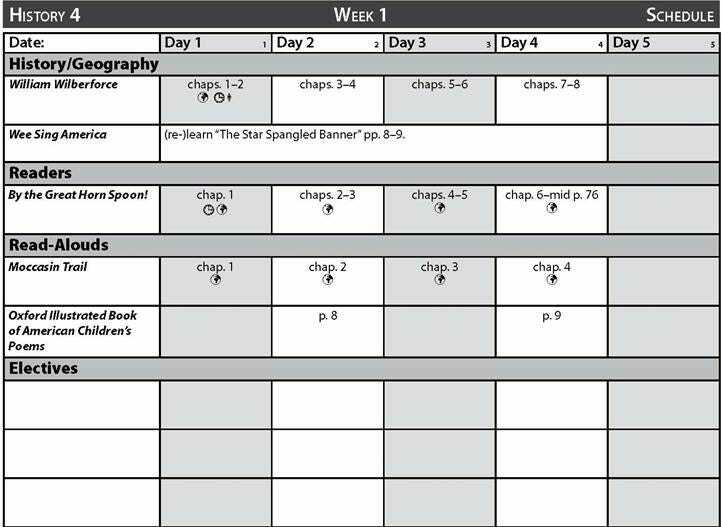 History plans include lessons and engaging discussion questions associated with the Readers, Read Alouds and resource books. Language Arts provides teacher scripts and rubrics to ensure your students are mastering concepts. Science includes references to numerous resource books and concludes each week with experiments and activities. Our Full Grade Packages include everything you need to do homeschool for a year. All books, organization tools, resources and kits are included. All the preparation is done for you. You will start each Monday fully planned with all materials so you focus on teaching. To learn more about our curriculum, please review our methodology or visit our FAQ. You can also view a sample Instructor’s Guide or if you are ready to order our product, you can find our packages by level.